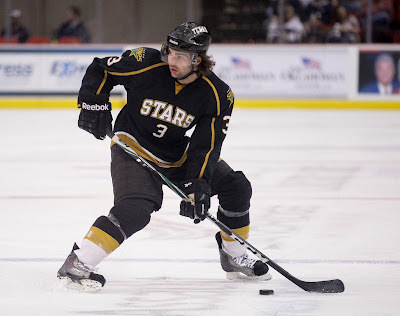 Around the League: Some Texas Stars Signing In Europe Soon? 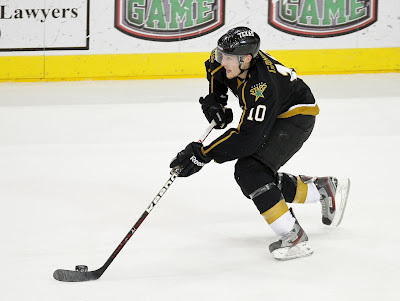 This week saw a lot of AHL-only contracted players bolting for the European leagues. Lured by many different things, now is the time of year when the transactions page begins to light up with transfers to the various different leagues. Many are lured by the money. Third line players here can be considered top guys in the Euro leagues and are paid accordingly. 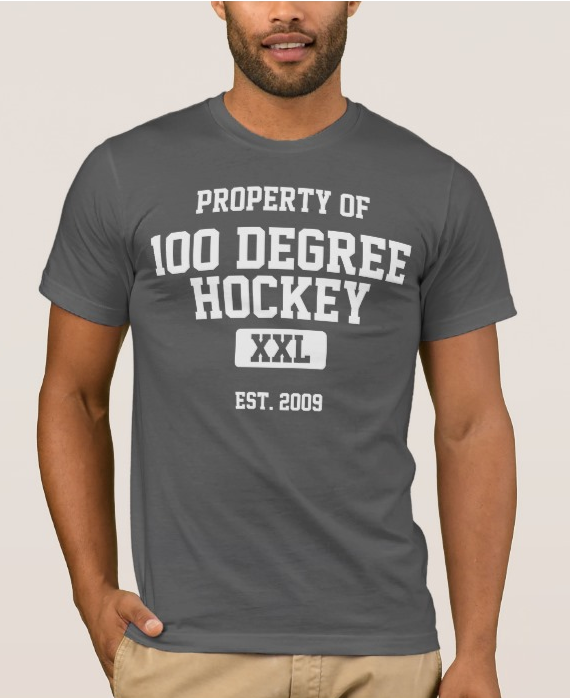 Many others enjoy the larger ice sheet and less physical game, as it offers a chance to extend their career by not beating up their body. This is especially attractive to older players. Finally, many players decide to return to their native countries to play as celebrities instead of living life on the margins of professional hockey in America. You can monitor the confirmed transfer section on eliteprospects.com to see those transactions as they happen. Among Texas Stars, I expect that defenseman Dan Spang would be the most likely to leave for Europe. 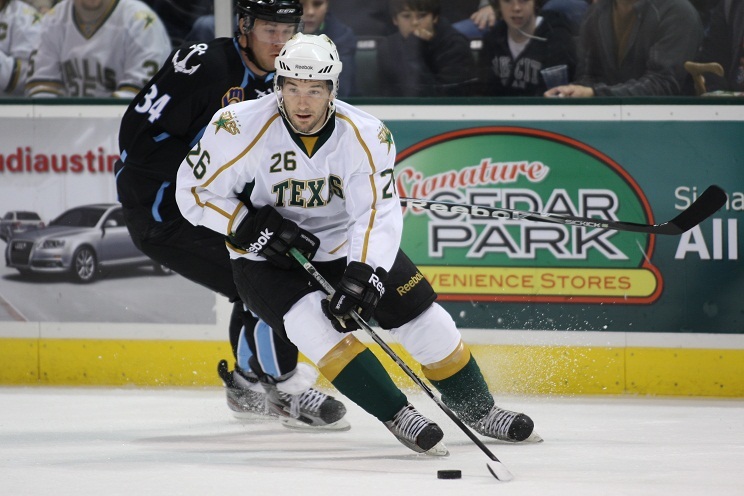 Spang played the 09-10 season in Germany's DEL before being lured back to the states by Scott White and the Texas Stars. Spang signed with the Vaxjo Lakers for the 11-12 season, but broke that deal to sign with the Dallas Stars on a two-way. He burned a bridge with Vaxjo to make the signing, with Lakers Sports Director Henry Evertsson calling the relationship "a closed book". Midseason, there were rumors that Spang was leaving the AHL to sign with MODO of the SEL. 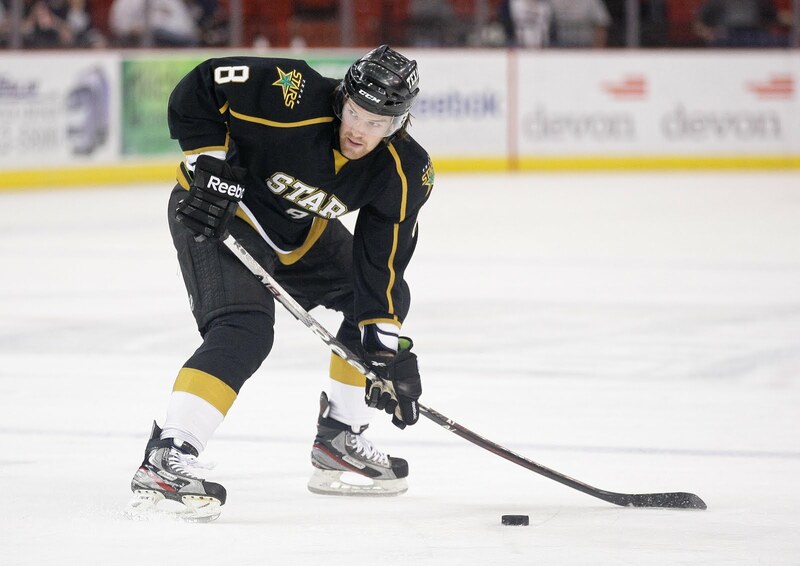 Swedish papers reported a verbal agreement for Spang to leave the Texas Stars and join MODO. The deal ultimately fell through at the transfer deadline (January 31). Spang represents a valuable commodity to European clubs, as he has an Italian passport and doesn't count against common limits on foreign-born players despite being born in Massachusetts. All that being said, Spang might have some recently established ties keeping him here in the US. Conference finals are underway and it's the top two teams in each conference competing for the Calder Cup berth. Is it just me or is that boring? Look at the Kings for a good counterexample. The San Antonio Rampage flamed out against the Barons with several OT losses being their doom. Now it's up to the Barons to maintain the West Division's pride by reaching the Calder Cup Final three years in a row. It's not off to a good start with a 5-0 loss to the Marlies last night. With this week's hiring of Bob Gainey in Dallas as a senior advisor to the hockey operations staff, I was reminded of a story idea I had when the Stars initially fired Coach Pyle. A lot of names have been thrown around for the Texas Stars head coaching job. With the recent flirtations in Dallas with hiring former Stars legends Guy Carbonneau or Kirk Muller in various capacities, the name Darryl Sydor has been mentioned by many fans in connection with the Texas Stars' vacant head coaching position. The first, and perhaps more obvious of the two reasons not to hire Sydor in this capacity, is lack of experience. At 1291 games played in his 18 NHL seasons, no one can argue that Sydor is not a veteran and experienced presence on the ice. Sydor racked up two Stanley Cups and five total visits to the Stanley Cup Finals over his career. In juniors, he earned a Memorial Cup with the Kamloops Blazers. However, coaching is a whole new gig for the #7 overall pick in the 1990 draft. 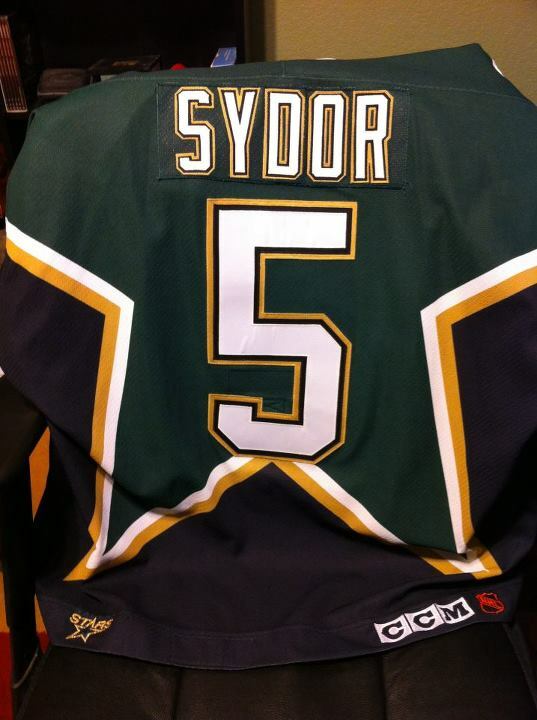 Sydor started off in the AHL only last year under head coach Mike Yeo in Houston. While the team did make it to the Western Conference Finals, it's just one year. When Yeo was swept up to the NHL by the Wild, Sydor came with him to continue his assistant coaching role in Minnesota. With all the injuries to their players, they were practically coaching the Aeros again by the end of the season. They predictably missed the playoffs completely. With no head coaching experience on his resume, there is automatically a knock against Sydor for the job. Texas, and indeed the entire Dallas prospect system, is in a place where it can either explode to fuel the growth of the Dallas Stars for the next decade or completely implode and ruin any chance of hoisting the chalice. A lot of that keys on how a coach develops their prospects and teaches them. While I have no doubt that Sydor will one day do this to great effect, he doesn't have a proven record of doing it today. The organization isn't in a place where it can take a chance on an unproven commodity. However, the bulk of my argument against Sydor becoming the next head coach is built on legacy. Others have opined on the topic before, but it bears saying again. A large percentage of the Dallas fanbase is fixated on the Stars from 1999. I'm not saying that it is a bad thing to admire players who performed well and brought a championship to Big D. What I am saying is that Dallas fans need to back up and see the forest. Putting such laser focus on one era of this team really doesn't seem prudent in a hockey environment that has changed so much. To put it in perspective, the Stars' Stanley Cup win was 13 years ago this June; whoever the Stars draft in the first round this year would have been 5 years old when that happened. It was a while ago. So really, it's not fair to Sydor, or any other legacy name you might mention. The added burden that would come with having been on that team is too much for a first time head coach. All that said, why could it still possibly happen? I mentioned the Kamloops Blazers early for a very specific reason. Dallas owner Tom Gaglardi is part of the ownership group for the Blazers with several NHL players including Sydor. I have no knowledge of their relationship in that regard, but it is a connection to keep in mind. Also, while the pressure is huge for someone connected to Dallas in such a way so is the positive PR. How much do you think it would be worth for the organization to be able to say that one of the players from that team returned to coach here? I don't think it's worth the other risks, but it's something to ponder. Instead of 'Most Improved Player' this season, I'm going for breakout player so that I can include both returning players and players who were new this season in the rankings. How I'm defining a breakout player is someone who plays beyond expectations and contributes heavily to the team, especially if they do so in unexpected ways. I think there are some good candidates this season. Remember that this is an award based on offseason expectations, so players like Scott Glennie, who did well but were first round draft picks, aren't really in line for this award. What do you really expect out of most SPC players? You're hoping for some third line grit (in Texas at least) and a responsible defensive player overall. Mike Hedden looked like he was ready to fill that sandpaper role early in the season, being slotted in the third and fourth line through the first few months of the season. But as the season progressed and Coach Pyle had to recombine and shuffle the lineup to accommodate callups and injuries, something happened. The same player who had two goals and four assists through the month of December, suddenly got hot. Hedden added six points each in the months of January and February, then blew up in March with seven goals and two assists. He finished the year with 19 goals and 15 assists. Hedden, who was playing his first full season in the AHL, showed that he could play anywhere in the lineup. He spent a good amount of time in his fantastic March campaign on the first line with Matt Fraser and Travis Morin. He would also slide down the lineup and provide both physicality and scoring touch on the third and fourth lines. Among players who played more than 50 games, he was a team-best minus-2, proving his defensive commitment as well. The intangibles can't be overstated as well. Hedden had a way of sparking the crowd with timely goals or hits. Texas needs to take a good hard look at the roster this summer for sure after this season's implosion. However, I believe that Mike Hedden needs to be on the ice when this team returns to the CPC in October. He is the kind of AHL player that Texas can be proud to build around. I wasn't really sure what to expect out of Ryan Garbutt when I first talked to him in July of last year. Garbutt was on the list of interviewees following Coach Pyle's hiring, since Pyle had coached Ryan in Gwinnett. Somewhere in the depths of the Cedar Park Center, I had a phone conversation with a calm and mild-mannered kid who had just signed his first NHL contract only a few weeks before. While calm and mild-mannered might describe his off-ice demeanor well, Ryan Garbutt was neither of those on the ice. As Dallas fans now also know, Garbutt is a powder keg on the ice. After starting his career inauspiciously in the CHL and moving up through the ranks to ultimately play in the NHL this year, Garbutt was arguably a huge breakout player. Until his callup, he was on pace to shatter his goals and assists marks from the 2010-11 campaign with Chicago. Garbutt did have some trouble in the season with penalties, especially late. That carried over a bit to the NHL, but I don't think that most of us could have predicted that he would play such a significant part of the year in Dallas this season. Garbutt is a restricted free agent at the end of the season, and I think Dallas would do well to sign him. I'm not sure if he starts the season in Dallas, but he will probably be a quality call-up for the big club for the coming season, if so. If you think back to last season with Jordie Benn, it was a tough road to hoe. Jordie was signed to a PTO in Texas but was wasting away his days sitting in the press box. After seventeen games out of the lineup, Benn got his chance and never let go. Coming into this season, Benn was signed to a two-way contract for Dallas and was expected to be a big time veteran presence here. Jordie had a fantastic statistical season in offensive terms. He set new career highs in goals (9) and assists (23). He was a key part of the power play, manning the top of the umbrella power play unit with the four forwards group. Benn collected five of his goals on the power play. Then, due to injuries in Dallas, yet another Texas Stars-scouted player made their way from the CHL to the NHL this season. Jordie joined the Dallas Stars for three games this season and spent many more on call in the press box, ready for action if the need arose. Benn scored his first two NHL points on the season with two assists, the first being extra special as he and his brother both assisted on a goal by Loui Eriksson. I think we all knew that Jordie was a solid AHL player, but the fact that he can hold his own in the NHL is a great sign for his future in the organization. He is a restricted free agent as well. Like Garbutt, he will probably start next season in Austin but provide a quality callup should the depth be called for.